The Waves of the Future: Times are Changing. 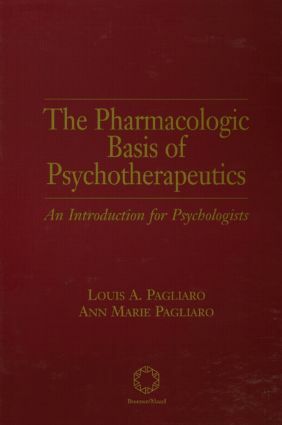 Introduction to the Basic Principles of Pharmacology. The Psychotropics. Pharmacokinetics and Pharmacodynamics. Administration of Psychotropics. Adverse Drug Reactions. Drug Interactions. References. Appendix One: Abbreviations. Appendix Two: Glossary. Appendix Three: Commonly Used Psychotropics: Associated ADRs and Clinical Comments. Appendix Four: Major Clinically Significant Drug Interactions Involving the Psychotropics.